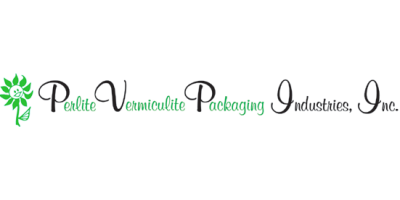 Perlite Vermiculite Packaging Industries, Inc.
PVP was founded in 1984 and began production in 1985. Sales by industry is about 55% Horticultural, 25% Industrial and the remaining 20% by Construction. The Company currently employs twenty, including the office staff. Fringe benefits include hospitalization, life, and disability insurance with prescription card. Vacations max out at 4 weeks after fifteen years. There are eight paid holidays.The Company operates two Incon perlite furnaces. The Company also operates a Bouldon Lawson mixing line consisting of 5 ten-yard hoppers, 3 small hoppers and a liquid feeder, with a 250-gallon storage tank. The line can be run at a rate of up to 100 cubic yards per hour, but usually runs at 65 cubic yards per hour for bulk loads and slower for bagging products. Buildings: The Company operates out of a 41,000 sq. ft. steel building on five acres of land. All permits and zoning laws are current and the Company is in compliance with such regulations. The building has four shipping/receiving docks. There is a separate 3,000 sq. ft. ore storage building with six bays, each capable of holding 100 to 125 tons of ore.
Production Equipment: The Company operates two Incon perlite furnaces. The Company also operates a Bouldon Lawson mixing line consisting of 5 ten-yard hoppers, 3 small hoppers and a liquid feeder, with a 250-gallon storage tank. The line can be run at a rate of up to 100 cubic yards per hour, but usually runs at 65 cubic yards per hour for bulk loads and slower for bagging products. The Company also owns other miscellaneous equipment such as a bag flattener, ribbon blender and three stretch wrap machines. Vehicles: Rolling stock consists of the following: Five lift trucks of various ages, two front-end loaders and one yard lift truck.